If a person is accused of violence, harassment, abuse or a credible threat of violence, a restraining order may be placed against that person in order to protect the alleged victim. With a restraining order in place, the restrained person cannot contact or go near the alleged victim, his or her house, workplace or family. Appealing a restraining order may be possible to stop the order from going into effect. Occasionally, a person may unjustly file a restraining order against another in order to gain leverage over that person. In these instances, appealing a restraining order would be necessary to help defend the person being wrongly accused. Without appealing a restraining order, there are negative consequences one may face if a restraining order is placed against them. It may impact the person's work, ability to get work, immigration status, reputation, etc. It also may unfairly keep them away from their home, children, or family. It is important to note that a court will only approve a restraining order if the person filing for it has sufficient and clear evidence against the defendant. However, if the defendant does not appeal the order or show up at his or her hearing, the court will likely rule in favor of the restraining order. If someone is filing a restraining order against you, a lawyer can help defend you by appealing the restraining order. Appealing a restraining order will include the need to make a strong case proving that you are innocent. There is also a limited amount of time you have to appeal a restraining order once it is filed. An experienced family law lawyer can help you make the appeal quickly and will do everything in their power to defend you. If there is evidence against you, a lawyer can still help you in appealing the restraining order and finding another way to solve the issue without a restraining order. If you need a restraining order defense lawyer, contact Attorney Search Network. 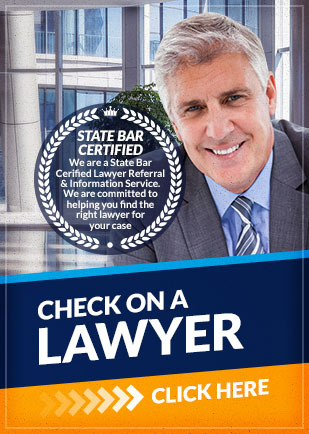 We can help you find a local lawyer to assist you in appealing a restraining order.